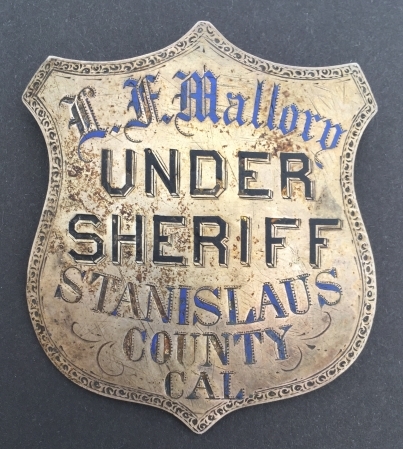 In January of 1881 L. F. Mallory became the Under Sheriff of Stanislaus County, CA. 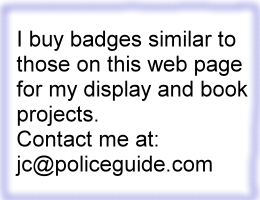 His badge is made of sterling silver, has hard fired enamel and is hand engraved. 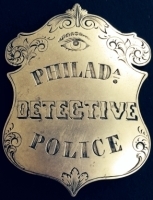 1st issue Turlock police badge #2, circa 1908. 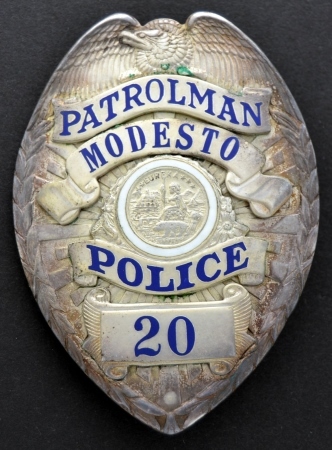 Modesto Police Patrolman badge #20, circa 1944. 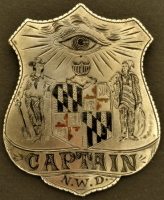 Rivet back, hallmarked Los Angeles Stamp and Staty.